Kolkata, Nov 21: India opener Lokesh Rahul rued the fact that India did not have five-six overs more, saying that would have helped them win the opening Test at the Eden Gardens here on Monday. "We wanted to make a game out of this. We lost three wickets early in one spell of (Suranga) Lakmal so we had to play a little bit extra. 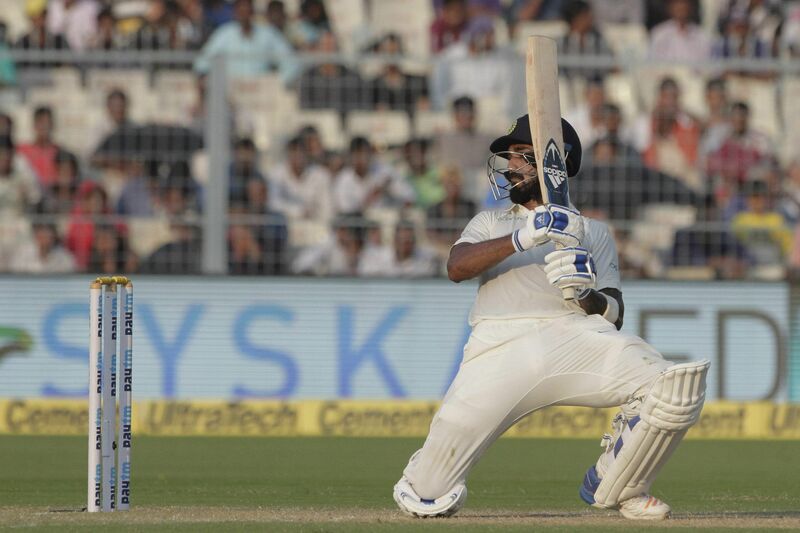 (Virat) Kohli played a fabulous knock and that's what was expected of one batsman and he did it. Five or six overs and it would have been our way," Rahul told reporters at the end of day five's media interaction. India came tantalisingly close to winning the five-day affair, reducing Sri Lanka to 75/7 chasing 231 after skipper Kohli hit his 50th international hundred to steer India to 352/8 decl. Kohli was 104 not out. Rahul also scored 79, his ninth fifty in 11 innings with Shikhar Dhawan falling six short of hundred on day four. In the first innings, India were shot out for 172 with Sri Lanka taking a 122-run lead by putting up 294 on the board. "On a wicket like that it would have been great if we got five days of cricket. We enjoyed playing on the wicket and it was challenging. These are the kind of matches you look forward to. Maybe, five or six overs we could have made a match out of it," Rahul said. Rahul admitted he hasn't been part of a stop-start Test match like this which despite the stoppages ended on such a high. "It was a good experience for all of us. Personally, I haven't played a game like this which is rain-curtailed for two days and then went down to the wire. "We played really well to comeback from how we started, we were nothing for three and to comeback into the game and make a game out of this was commendable which speaks volumes of the team and how we have evolved in the last couple of years. We would have loved to win the game but nonetheless we put in great efforts. The bowlers and batsmen did their job." Rahul did not want to wade into Sri Lanka looking to waste time towards the end, saying it's part of the game. "It's a tricky thing to say. If we were in a situation like this, we would have done the same. "That's how the game is played. Nobody wants to lose the game. These are tricks played by every team so nothing unfair about it. But as a team trying to win the game, we wanted to push in as many overs as we can. That's how it is played. "The light was not good enough to play towards the end and we couldn't do anything about it," he said. Lauding man-of-the-match Bhuvneshwar Kumar, who picked up eight wickets in two innings, and Mohammed Shami, who scalped six, Rahul said their plan in the second innings was to accelerate from the word go. "The plan was to go out there an play positively. Trying to get 200-250 runs and give them a challenging total which even they can feel they can chase it down and that's where we create the opportunities," he said.